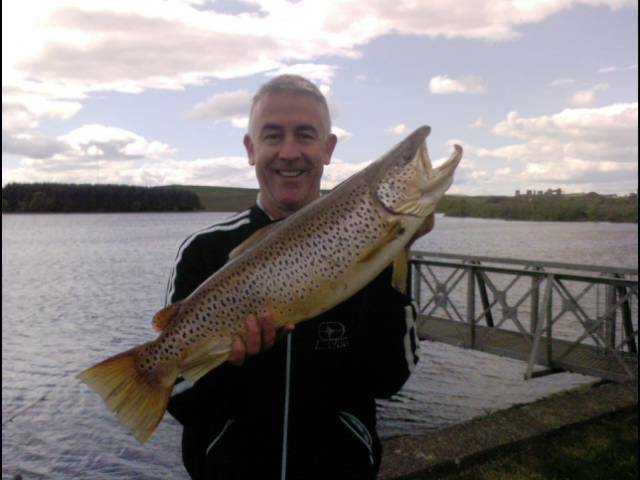 Eddie Kelly caught this wild Brown Trout from Forrestburn Reservoir, near Salsburgh. It was not weighed but was by far his biggest fish to date.It was released unharmed and was spotted thrashing into shoals of fry again within 10 minutes! Eddie looks well please with his fish! wow that's gotta get fish of the month surely?!! i know forrestburn reservoir well and that truly is a special achievement catching a nice brown like that, i hope people here realise forrestburn is not a stocked reservoir and i can remember it being almost totally drained when i was a kid maybe about 17 years ago. i swear you could fish that place every day for your life and be lucky to get a fish like that. very well done! !